Google recently lifted the curtains on its soon to be flagship product Google Chrome OS - a heavily customized Operating system which runs on top of the Linux kernel. Google did this with great panache by releasing the source code of the operating system under an open source license. The open source part of the operating system is known as Google Chromium OS. Since a lot has already been written about the Google Chrome OS, I thought of doing something different. 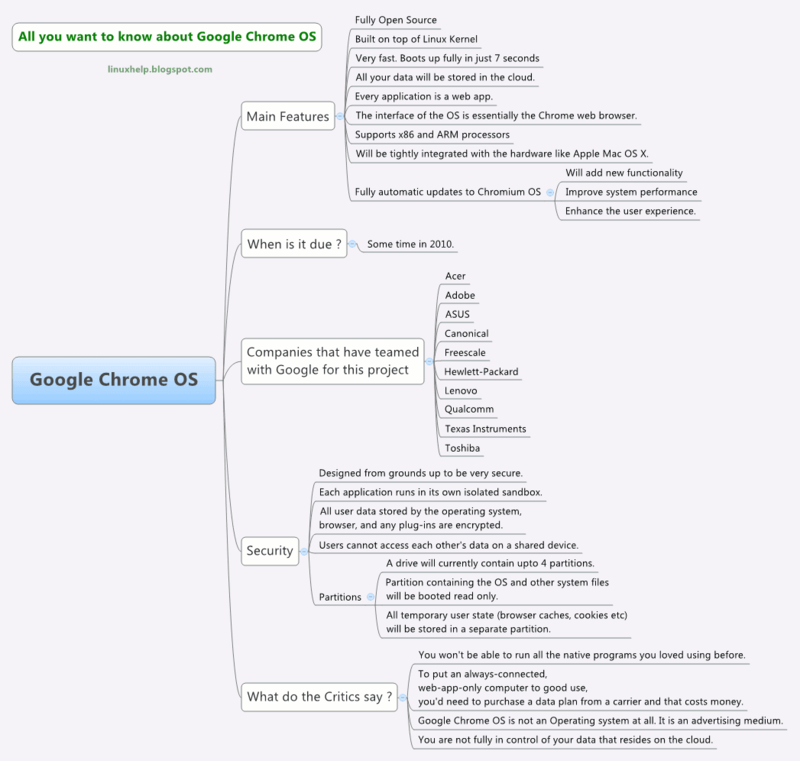 I collected the details of the project and created a mind map providing a birds eye view of Google Chrome OS. 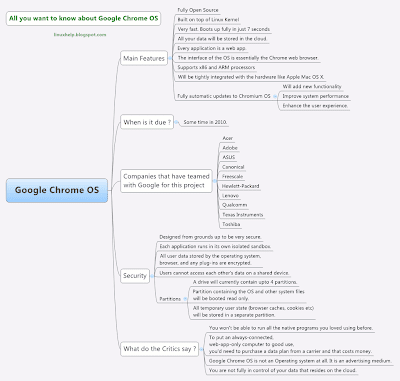 So instead of reading through reams of text, now you need only glance at the following mind map to come upto date on the Google Chrome OS project. Now for some videos on Google Chrome OS. This video explains to you in plain English about Google Chrome OS. Explore the Google Chrome OS user interface in this video. A video on the security aspects of Google Chrome OS. Chromium OS is the open-source project behind the Google Chrome OS. The following video talks about Google Chromium OS.